With the rate at which Bryan Mills (Liam Neeson) went around offending the bad guys in the 2008 box office hit Taken, it comes as no surprise that vengeance fuels the plot for a sequel. Moviegoers have high expectations from Taken 2. The film starts out in the Turkish city of Istanbul where the retired CIA operative is surprised to find his wife Lenore and daughter Kim have decided to join him. Not long after, the bad guys make an appearance. Among them is the man who sent kidnappers to his daughter's apartment in the first installment, and also a father of one of the men he killed. This time they take his wife while the daughter goes on the run. It's up to Neeson to track down both of them before they come to harm. The movie is jam-packed with seatgripping action and ends predictably, but the formula is a hard one to beat. Ellie Goulding, 24-year-old vocalist, drummer and songwriter has been a singing sensation since 2012. She had us humming the melancholic albeit infectious tune from her single Lights, and now with our playlists on replay, the singer's ready to hit us with her next album, Halcyon. The album takes its inspiration from 'a bird during the winter, that would lay its eggs by the sea and bring calm to the stormy waters'. Many of the singles featured in the album are reminiscent of water and the ocean. An amalgamation of the singer's random musings, the LP's first single is titled Anything Can Happen and releases in the United States on October 8 with subsequent global releases through the month. Andrew Dominik's last film, The Assassination Of Jesse James, received a lukewarm response. This time round with the Brad Pitt-starrer Killing Me Softly, Dominik appears to have gone in a different direction from what everyone was expecting. 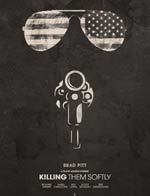 It is a cynical crime film adapted from a novel by George V. Higgins and is filled with humour, suspense, and plot twists. Alongside a racing plot reminiscent of Wong Kar-Wai's stylistic work, this one promises to deliver. 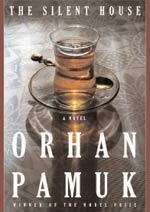 Orhan Pamuk's second novel The Silent House is being published in English for the very first time. The novel narrates the touching story of a family gathering during the summer before a military coup in 1980. Known as a gamechanger in her fold, Kate Zambreno's third book Heroines is a critical memoir borne from her blog. 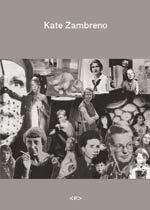 It challenges the myths of modern wives and mistresses.